A company’s logo design plays a key role in a company’s growth. It has everything to do with advertising, consumer impression, and promotion of one’s brand. It is not that easy because the company must anchor it on its principles and values. In the fashion world, logo designs must cope up with the standard portrayed by the fashion brand. A fashion brand has their own identity to protect, preserve, and promote. The logo design must correspond to the type of brand promoted by the company. Check out our list of logo designs with trending styles and relevant themes. Fashion logos must create a fashion statement that will make the logo stand out and memorable to the consumers. 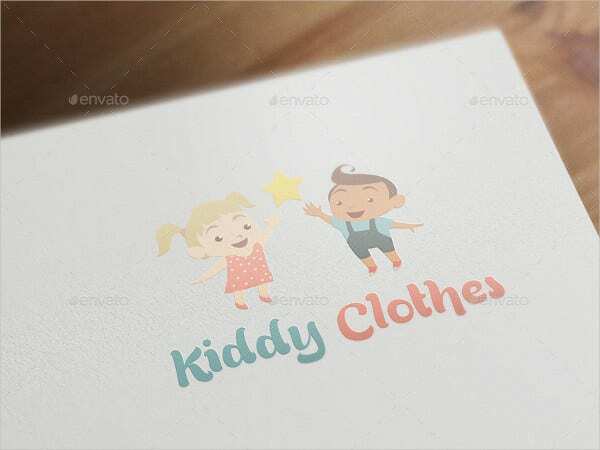 Examples of fashion logo design templates we have in this article are fashion & logo template, Trickle Shirt logo template, girls’ clothing logo, vector clothing logo, baby and kids clothing logo, clothing business logo, fashion style logo, clothes shop logo design, dress logo, vintage clothing logos, and many more. Most fashion logo designs are fresh, vibrant, dynamic, and artistic. It truly depends on the fashion statement the company wants to pull off. Examples of fashion logo themes are vintage, classy, elegant, abstract, artistic and colorful, girly, formal, chic, punk, futuristic, and many more. Choosing the right color scheme is an indispensable requirement for designing the perfect fashion logo design. Every color scheme connotes a different messages to the consumers. The challenge is that for you to choose the right mix of color scheme to portray a strong message. For fashion, almost all colors are acceptable, depending on the type of fashion promoted. Most of the time, the colors red, yellow, blue, pink, orange, green, gray, black, and white are popular. On the one hand, the most common fashion logos‘ elements used are trickled shirts, a picture of a shoe, a drawing of a girl, a dress, etc. Most shoe logo designs are straightforward. Shoe companies ensure that their logos are easy to distinguish. The said designs are also used by travel companies. The designs come in all shapes and sizes. Some shoe logo designs are small yet very detailed in terms of design, while others use the elements big shoes with minimal designs. There are also various types of shoes you can choose from. Always bear in mind to choose a design that is relevant to your theme and will help make your brand stand out from the rest. It is up to you which will fit your company’s image. Like any other logo, you also need to choose the right color scheme and elements to add to your logo. You may select a green shoe logo with an eco-friendly vibe, a sparkling pink glass slipper, solid boots, simple and colorful sneakers, down-to-earth sandals and slippers, or even add some footprints to seal up your design. Browse on huge catalog of shoe logos design templates to see more that will fit your brand’s identity.